Mandatory training has a poor reputation in the financial industry. The subject matter can be seen as dry and there is often a lack of engagement or enthusiasm about the learning. In short, it tends to be perceived as something that simply has to be done and can then be forgotten. One of our clients, a major retail bank, was keen to break this mould and create an engaging learning experience that better reflected the vital nature of the subject matter to individuals’ roles, while enhancing the reputation of the bank. 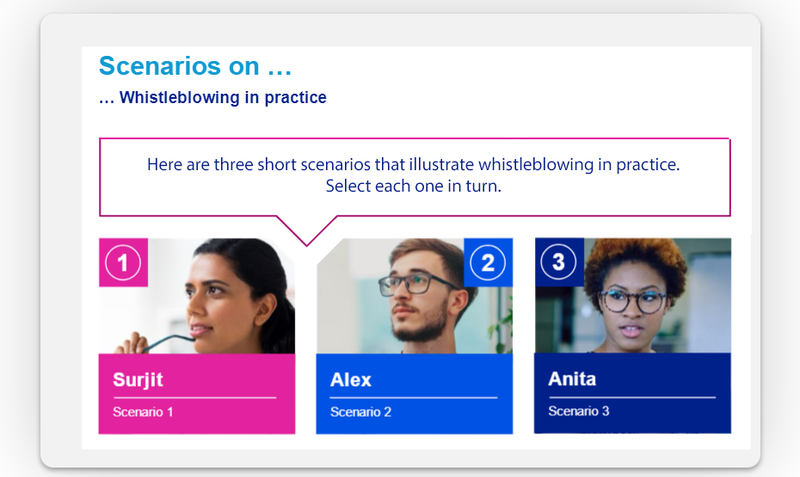 Our task was to lead a dramatic revamp of the bank’s mandatory training provision to better reflect modern trends and support use on employees’ own devices. 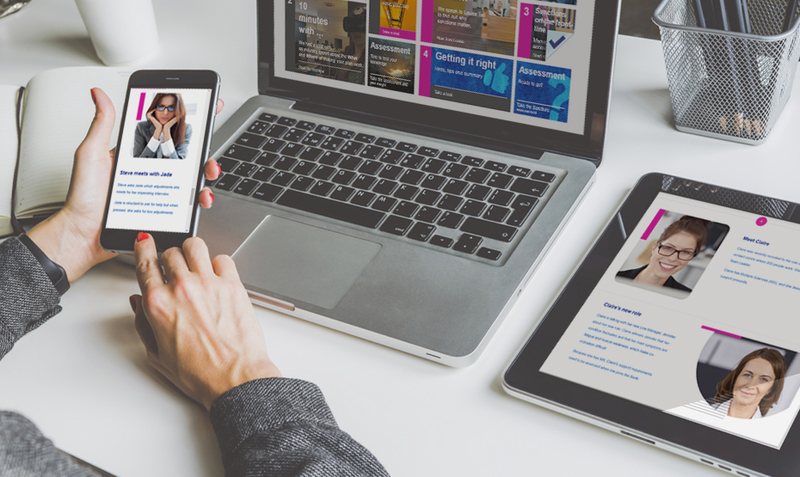 We designed, content managed and built a blended learning programme that aimed to re-energise learners’ knowledge and perception of the subject matter. 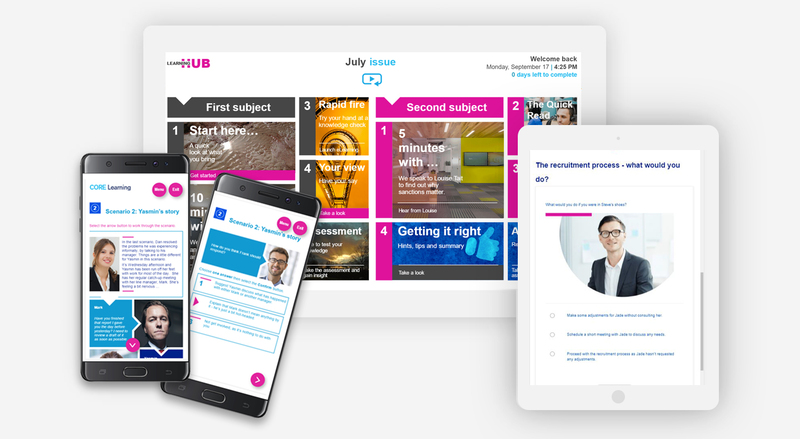 The interactive programme comprises a series of engaging ‘mobile-first’ learning solutions, delivered to end users as part of a monthly magazine style ‘issue’ that includes moving imagery. The elements within the programme include videos, animated sequences with voiceover, highly interactive Articulate Storyline modules, in-depth PDFs and quizzes. A number of the elements were built using Articulate 360 Rise software. 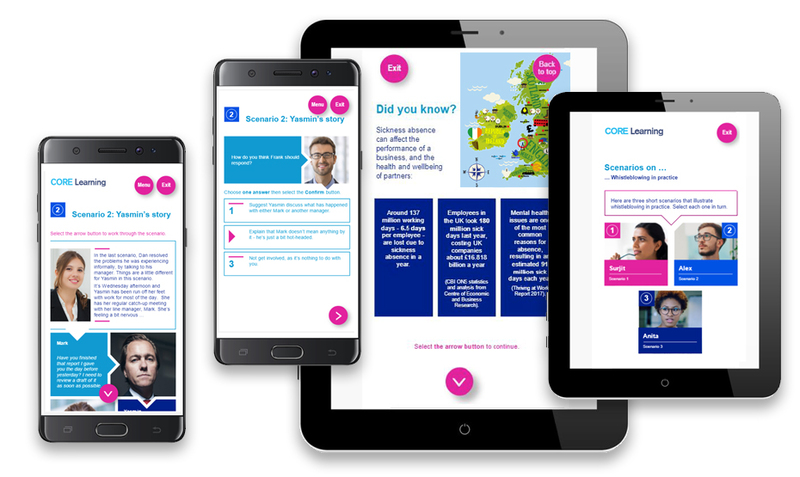 Bank employees throughout the UK are now engaging with the content across desktop, tablet and mobile. Each of the elements is also available for learners on a point-of-need basis and can be accessed outside of the monthly issue. This learning approach puts the learner much more in control. While the monthly issue serves as an engaging tool to guide learners through what they need to know on specific subjects, individuals are also encouraged to reference discrete learning elements regularly as and when required, rather than simply using the tools once a year to help them pass an assessment. Early feedback is overwhelmingly positive, with users delighted at the new look and learning approach.